There are three main kinds of freeze dryers: rotary, manifold and tray freeze dryers. Rotary freeze dryers are generally used when working with liquids. Small amounts of material are frozen by manifold dryers, and tray freeze dryers produce the driest product ready for long-term storage. Freeze dryers are used by the pharmaceutical industry for increasing the shelf life of vaccines, for preserving certain strains of bacteria and for ease of storing and shipping certain products. Freeze drying removes water and bulk while maintaining flavors and nutritional content and is subsequently used with food and beverages like instant coffee, fruit and herbs. Freeze drying is also useful in chemistry and biotechnology because it can make products easier to dissolve in water and remove impurities. Some museums or conservation agencies use freeze dryers to dry and preserve artifacts, manuscripts and animal or floral specimens. 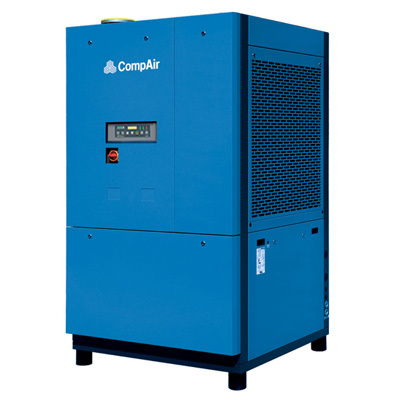 The three kinds of freeze dryers – rotary, manifold and tray – vary in size and material. The industrial machines are typically tray freeze dryers and can be hundreds of feet long, either vertically or horizontally oriented. Stainless steel is most commonly used because it is sanitary and can be temperature controlled very effectively. Products are held on trays on shelves in large boxes or carried on a conveyor belt if the dryer is continous. Freeze drying is a three step process. During the initial freezing, the material inside the dryer is cooled below its triple point, which is the lowest temperature at which the solid and liquid phases of the material can exist at the same time. The temperature is usually between -50° and -80°C, and this is the most important step of the process. After the material is frozen it enters the primary drying phase. The pressure is lowered and enough heat is provided that sublimation occurs. 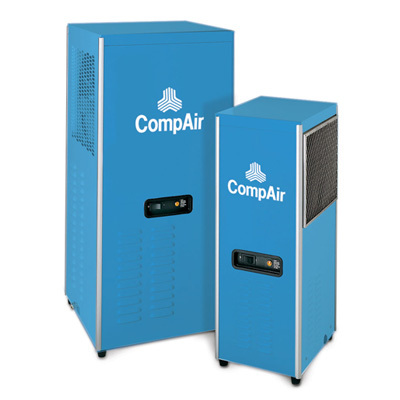 Adding a vacuum to the dryer helps control and maintain pressure, and a cold condenser plate or chamber gives the water vapor a surface to freeze onto after it leaves the material. The last step removes any unfrozen water molecules. In the secondary drying phase the pressure is lowered again and the temperature is raised, sometimes above the freezing point of 0°C. Any residual water evaporates from the substance, and the final water content is less than 5%. Freeze Dryers Freeze dryers lower the temperature of a substance to the point that sublimation and dehydration occur. This process is typically used to preserve a perishable item or material and make it more convenient for transport. When performed in a laboratory setting, freeze drying is done in a flask; for large or industrial scale freeze drying, a machine is used.